With the rise of modular homes, innovations in lighting and design have exploded in the past decade, one of the most important of which is recessed lighting was introduced. 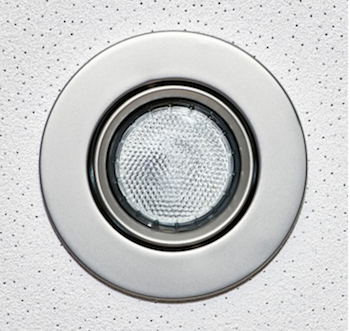 Recessed lighting is fairly new, and many home owners still don’t know about it. We have taken the liberty of explaining to you what recessed lighting is and how you can have recessed lighting installed in your home. While watching television, you might have noticed some homes with glowing lights in their ceilings. Those glowing lights are recessed lighting. They are also known as “pot lights” or “can lights,” and are actually installed in holes that are dug into your ceiling. What are the benefits of recessed lighting? Apart from making your home beautiful, recessed lighting also helps protect the wiring and lighting fixtures from fire hazards. There are two major types of recessed lighting—Insulation Contact and Non-insulation Contact. While both of them are equally effective at preventing fire, Insulation Contact lighting is much safer, because it generates far less heat. 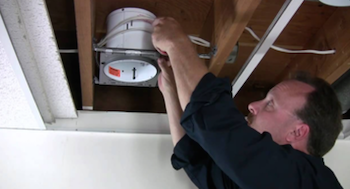 What are the recessed lighting Services provided by Best Fishers Electricians? Safe, secure, and functional installation performed done in the most professional manner by a team of certified and licensed electricians. Multiple lighting and control options to choose from. Non-intrusive installation protects the beauty of your home. Home and office LED lighting at best possible prices. Recessed lighting can be a great way to brighten up your rooms without having to re-wire your entire electrical system. If you want to re-vamp a dark room and convert it into a study or library, recessed lighting is the way to go. This is the best option for people who want to give their home a new look without the cost or hassle of re-wiring and re-installation. Best Fishers Electricians also provide energy-efficient LED options, to make your home brighter at a fraction of the cost! If you need assistance with any services not mentioned here, please get in touch with our team to inquire further.